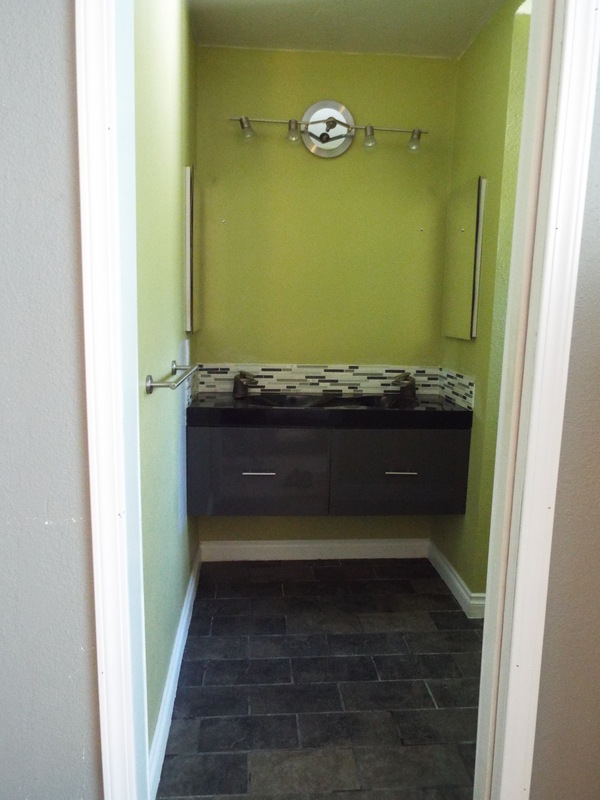 This is our master bathroom, our tiny master bathroom. When we bought the house, it looked like this. 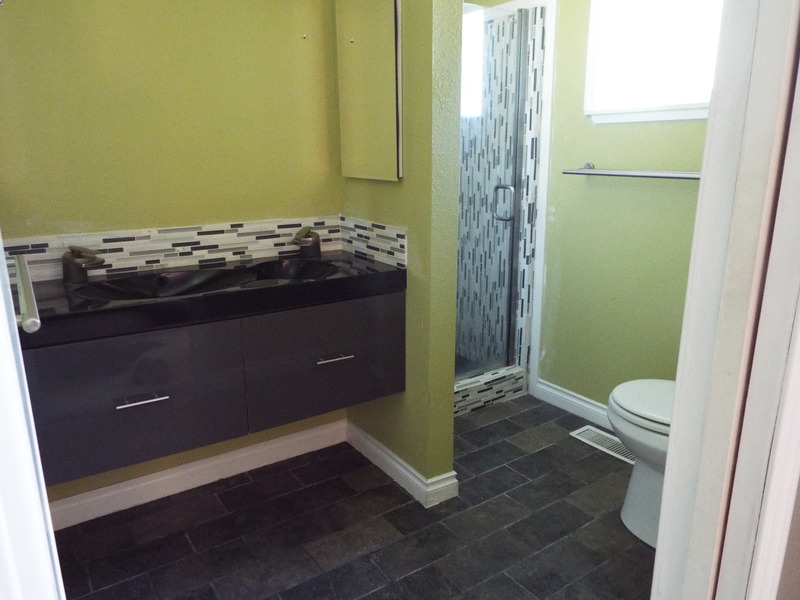 **Normally there is a large, black framed mirror in that big, gaping space on the wall straight ahead. For the sake of this update, I have removed it. It’ll be back shortly. So, clearly, we made major improvements here, but I wouldn’t call this a finished room. 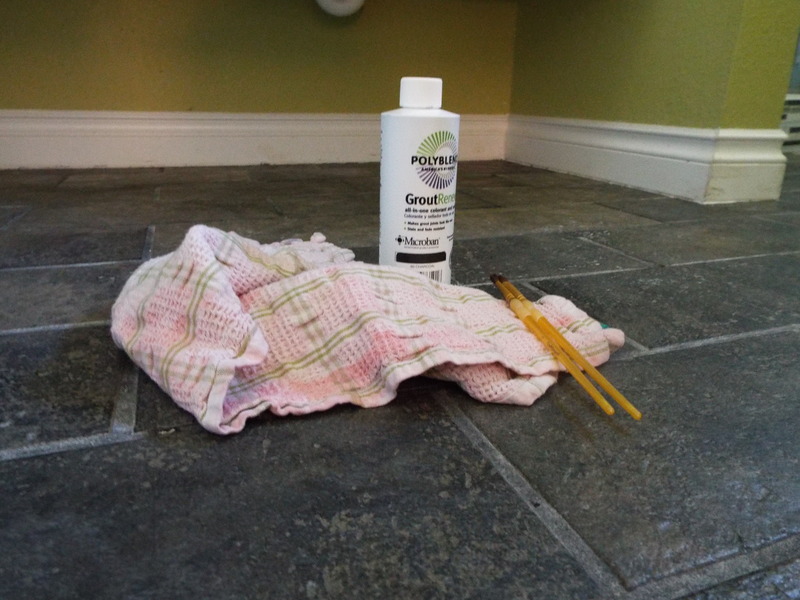 The most bothersome issue in the bathroom is the grout. 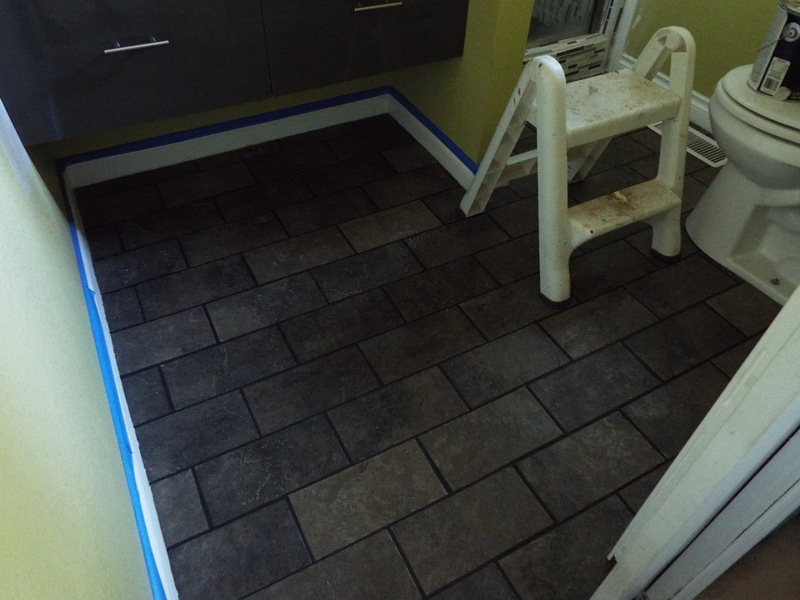 We didn’t seal the grout, so it is all discolored now. 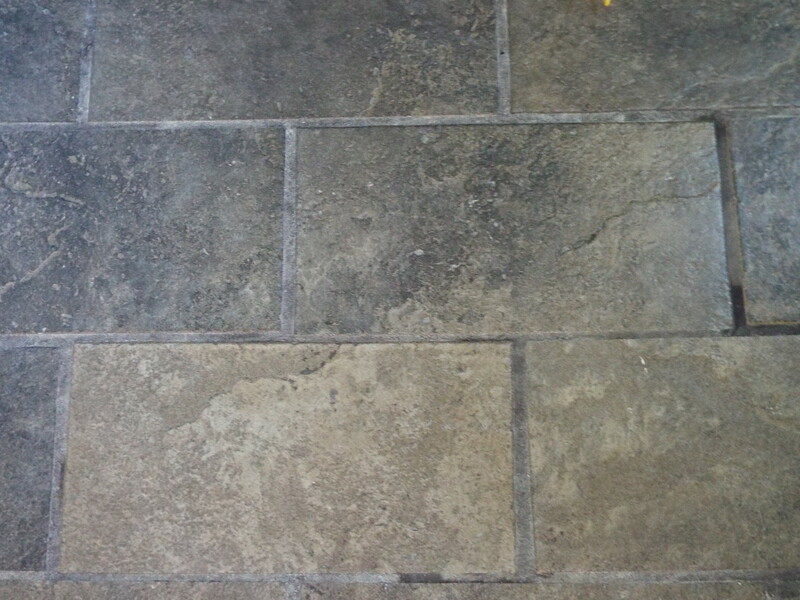 I made the mistake of use abrasive cleaners on it, and just wear and tear has left us with this gross looking grout. What’s a girl to do? Cue one of my favorite blogs, Young House Love. 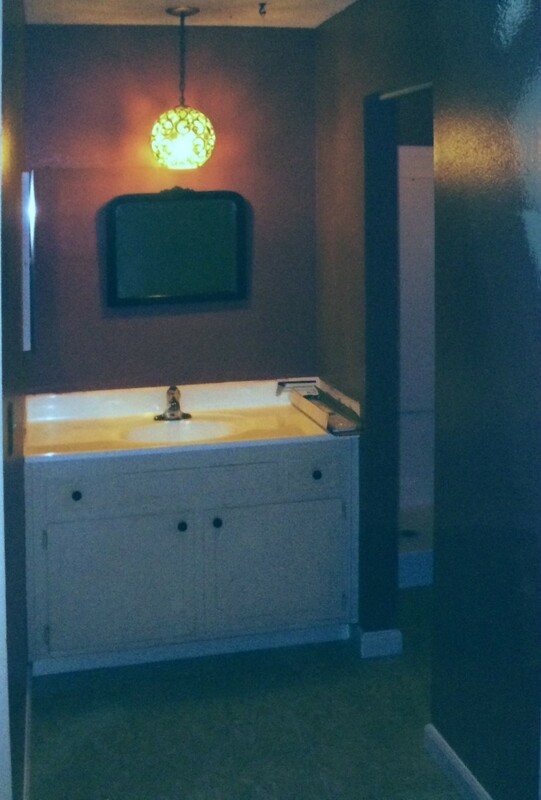 They had the problem of stained, discolored grout and used Grout Renewal on it with amazing results. Here is a close up of the gross grout. We decided to go for it, and all it took was a quick trip to Home Depot, $12.00, a rag, my craft brushes and some elbow grease. 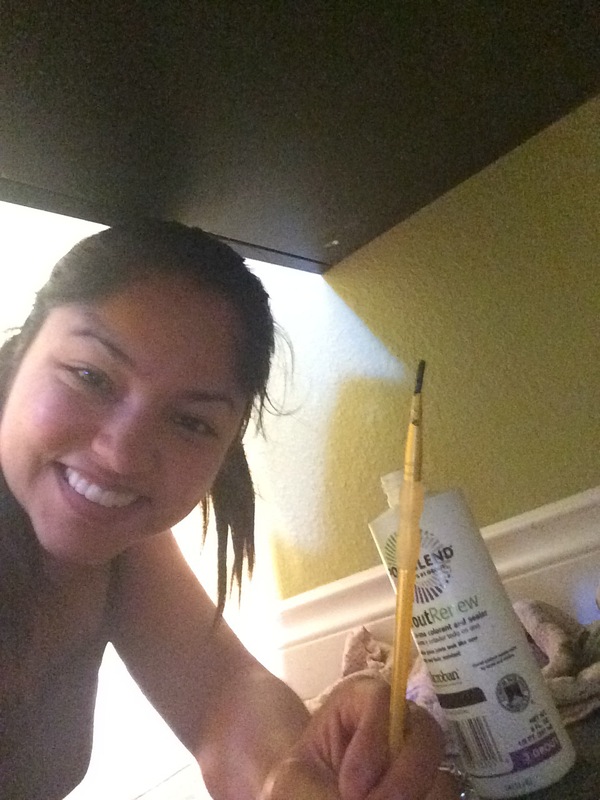 Working selfie! I take pride in my appearance when DIY’ing. I felt amazing when this was done. 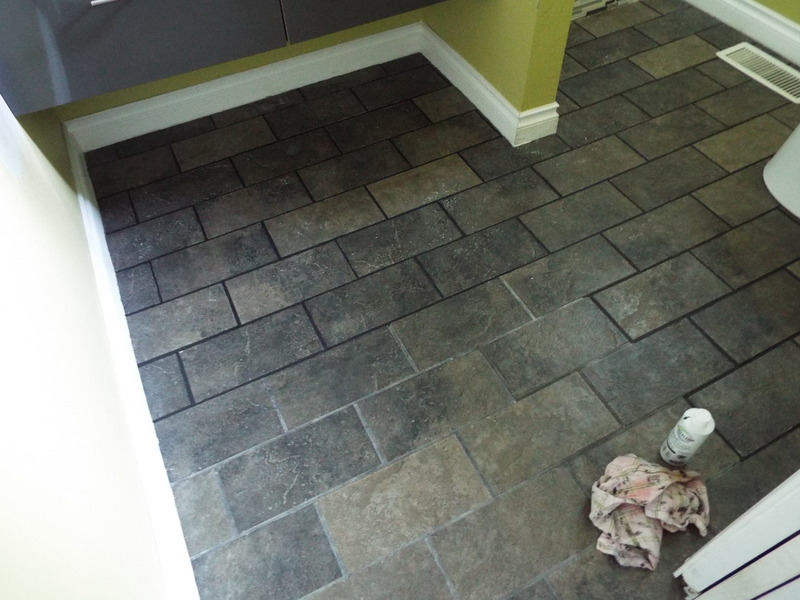 I spent roughly 8 hours on this project, between deep cleaning the floors and grout –toothbrush style– and applying the Grout Renewal. I applied it very carefully with a craft brush and would wipe the excess with the rag. My back, neck, arms, and shoulders are a little upset with me, but how amazing does the floor look now?! It was totally worth it. And the best part is that there is a sealant in the product, so I’m done. And, from here on out, only steam cleaning for these babies! Part 2 will be underway very soon…hint…blue tape.